Enjoy the delicacy and simplicity of Hayashi's bento boxes. It is still common for Japanese homemaker's to lovingly prepare bento boxes for their children or spouse, and now you too can immerse yourself in this beautiful Japanese tradition. 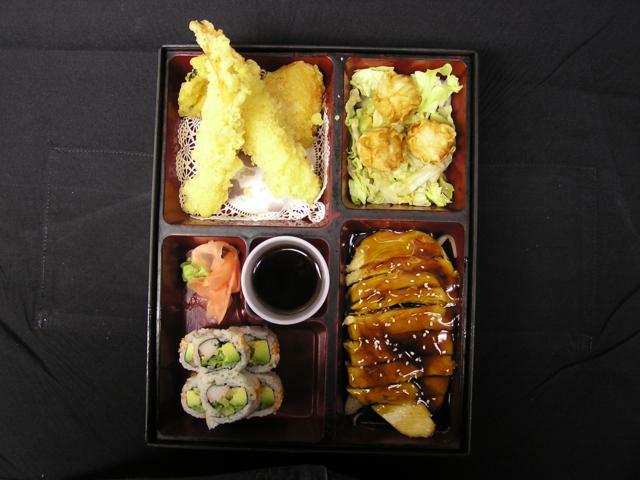 Hayashi's bento boxes come with your choice of chicken teriyaki, beef teriyaki, or salmon teriyaki. You'll also get a delicious shrimp and vegetable tempura, a California roll, and shrimp shumai. 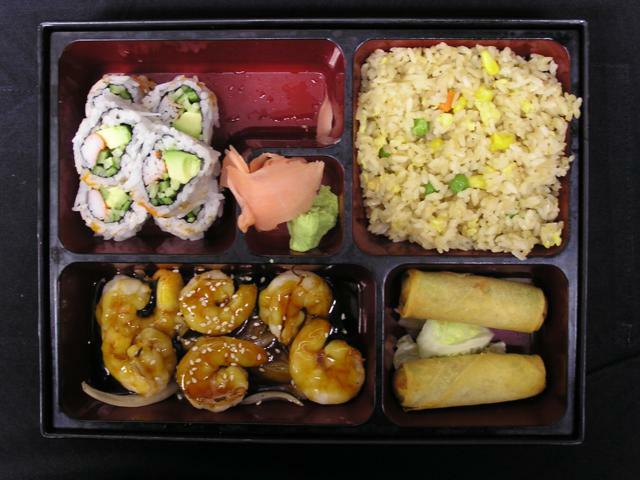 Bento boxes are ideal to take on the go, so you can enjoy delicious Japanese food wherever you may find yourself. To view Hayashi's complete menu online, click here.